Six years ago my college-going cousin was making all persuasive efforts possible to get his father to buy him a Yamaha YZF-R15. However, my uncle, like other avid riders of his generation who grew up on Triumphs, BSAs, Nortons, (damn lucky these chaps were to be born in that era!) etc., couldn’t take anything about the faired Yamaha down his throat, including its price. I remember my uncle silently looking at the orange bike’s rear-three-quarters picture for quite some time, checking out the broadest rear tyre, muscular tank, straight handlebar, and the lack of fairing… Yes, back in 2008, nothing else looked like the FZ-16 and it even managed to retain its ‘most beautiful’ crown for six long years until the arrival of Suzuki’s Gixxer 155 very recently. Mind you, the old FZ-16 might still be preferred by many over the Gixxer (talking only about the design here) but there is no doubt that the Gixxer is a fresher design and has managed to come on top in spite of having more competition than the FZ had at its debut. So, we will give credit where it’s due despite this not being a comparison review. So yes, my uncle did buy the FZ-16 and my cousin was a happy soul too – they both loved the bike’s looks and the build quality; they both were enamoured by the way it handled, both in city traffic and on highways, but my uncle was not happy with the bike’s fuel-efficiency as it used to return around 28-30 kmpl at worst and around 36-38 kmpl at best. Enter the new ‘fuel-injected’ FZ! Ever since the first spy shots started to emerge on the web, the bike looked like a substantial upgrade to the first generation FZ, however, the spec-sheet came as a major dampener whose intensity appeared to be even more severe in the light of its increased price. 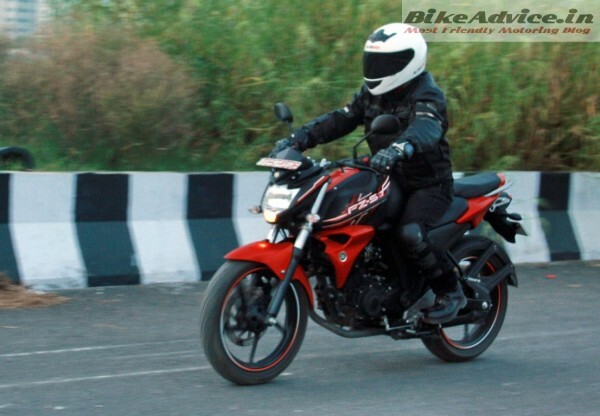 Plus, it did not look as good as the previous model, in pictures at least… So at first, it looked like Yamaha has already lost it with the new FZ version 2! The new motorcycle is still unmistakably an FZ. The fuel tank is again muscular but sharper and the separate extensions on either side are restyled and hold faux air-scoops too. 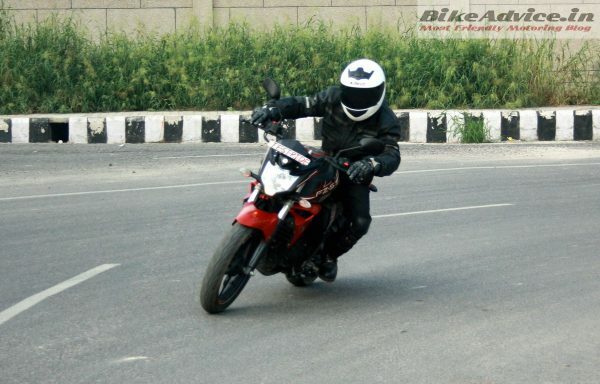 A new and sharper headlamp design looks more aggressive when viewed from the front and the front fender now comes completely in body colour as opposed to the earlier one that had a black lower portion. The instrument console is an all-new unit and its broader rectangular display screen not only looks better than the previous version’s but is also easier to read in harsh afternoon sun. Also, I prefer the new round exhaust canister to the previous stubby unit but the tail section was decidedly better of the first-gen FZ. It’s primarily because of the full monty splash guard on the new bike and also the porky new taillight, otherwise the aluminium bracket that holds the latter is a nice touch. The split seats make the bike look bigger than before though the overall length has come down from 2,075 mm to 1,990 mm. Our test bike came in ‘Molten Orange’ colour though it has more black than the molten stuff, and the same applies to ‘Cyber Green’ and ‘Astral Blue’ where black remains the predominant shade. However, ‘Moon Walk White’ (really Yamaha?) comes with a white fuel tank and splashes of red here and there. Yes, you can’t buy the bike in one single color though that Cyber Green is the closest you can get to black. Needless to say, like earlier, the build quality and fit and finish is again the best in class. 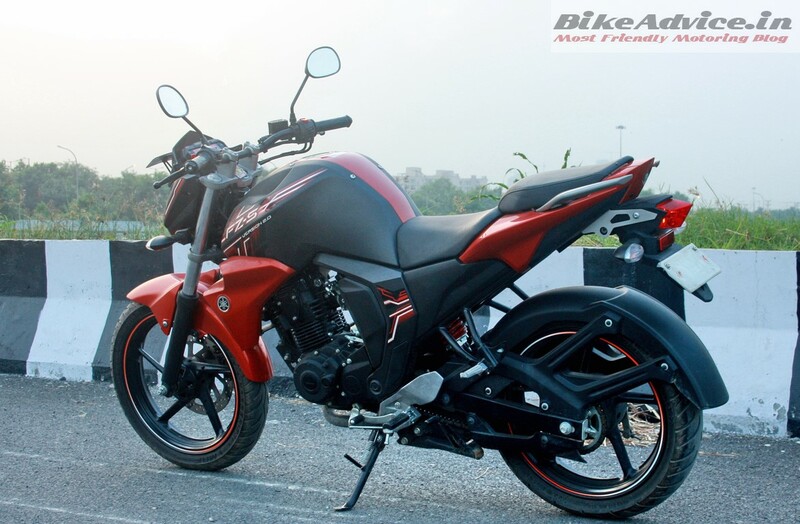 This is where the biggest change lies and the bike gets an all-new motor as per Yamaha. 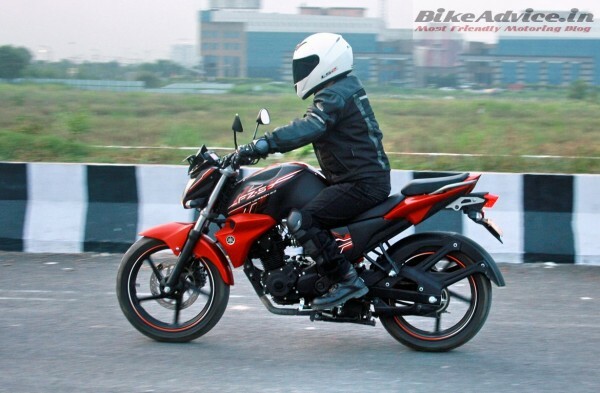 The engine capacity has come down from 153cc to 149cc and the cylinder bore from 58mm to 57.3 mm though the piston stroke has remained the same at 57.9 mm. 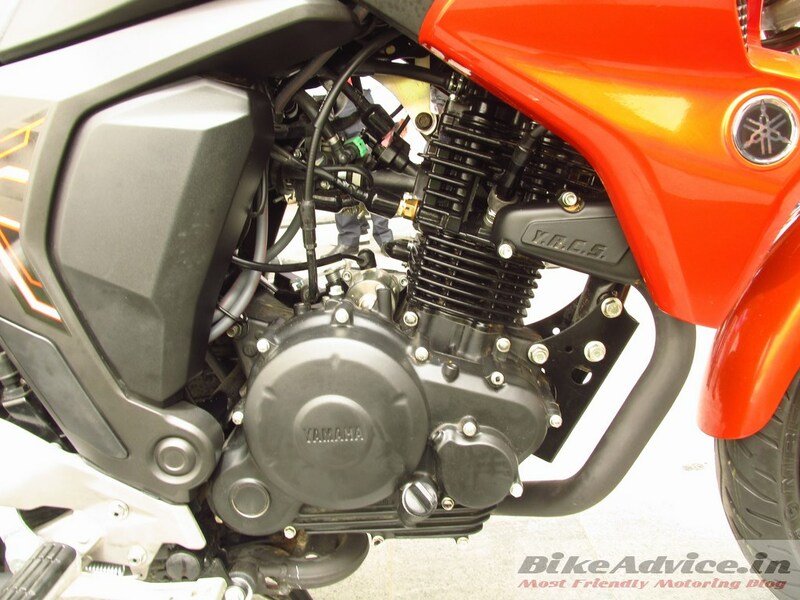 The same compression ratio of 9.5:1 now yields 13.1 PS at 8,000 rpm and 12.8 Nm torque at 6,000 rpm in the new bike as opposed to the old bike’s engine that puts out 14 PS at 7,500 rpm and 13.6 Nm at 6,000 rpm. However, there is a big difference – while the 153cc engine is fed liquid gold through a carburetor, it’s fuel-injection in the new bike that is responsible for spraying perfectly-metered squirts of fuel into the combustion chamber. The result? The bike does not feel slow or sluggish at all; on the contrary, it feels more eager now and the throttle response throughout the rev range has become smoother too. Though the gearbox has been left as it is, the rear sprocket has gained one extra tooth (41 now) and the bike would certainly be quicker than the carburetted FZ in the 0-100 km/h dash, though we could not test it. Oh yes, the new engine is 1.5kg lighter than the old one and we all know how every gram saved adds to the acceleration, fuel economy, and to the handling as well. 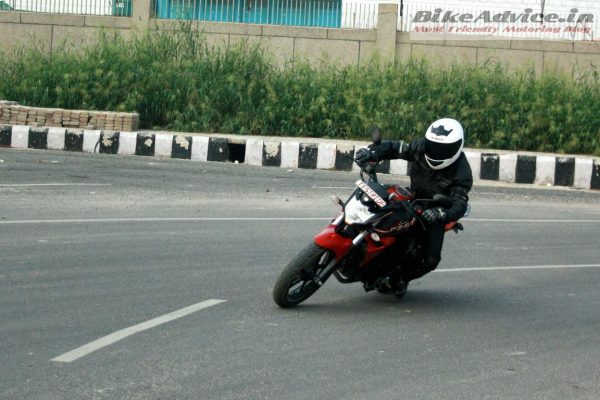 The motorcycles revs freely all the way up to the redline which is again an improvement over the older model. However, progress beyond 100 km/h (speedo indicated) takes forever and the best I saw on the dash was 115 kmph with about 2 or 3 kays more to come at the max. Also, though the bike is almost devoid of vibration, the engine sounds stressed at three digit speeds – Yamaha should have given the new bike a 6th cog. 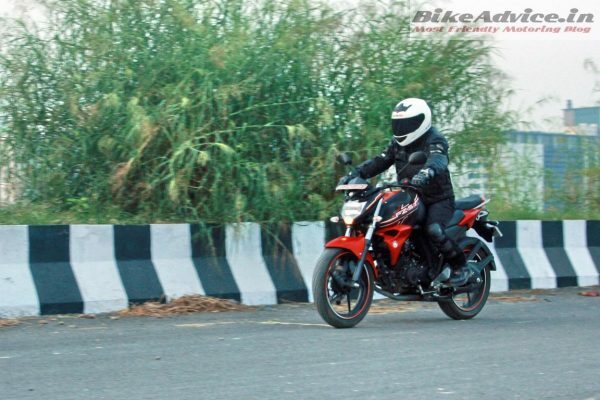 That being said, low to midrange is where a street fighter should be good at and the new FZ does not disappoint a bit here – the bike was always fun in city traffic and it would suffice to say that it still punches above its weight in urban brawls! Yamaha says that the new ‘Blue Core’ engine comprises ‘improved’ intake port and combustion chamber, advanced electrical charging system, roller rocker arm, lighter moving parts, offset crank, etc. You wouldn’t have noticed a device in this list that says something on the lines of, say, a ‘Blue Core chip’, right? Because there is no such thing that has been added separately and Blue Core is not a technology but a set of guidelines formed to make better and lighter engines and chassis. Same goes for Honda’s HET and Suzuki’s SEP, which are again guidelines essentially and not technologies per se. And I mean that in a good way for all the three companies because rather than taking a short-cut (and short-term gains) by adding an additional device, these manufacturers are striving to make the engines more efficient by incorporating changes in the core components of the engine. Yamaha has also given a new frame to the FZ and it weights around 2 kg less than the older one while the wheelbase at 1,330 mm is also now four mm shorter than before. There are no changes made to the suspension and it did not need any to be honest as the bike’s beefy shock absorbers set in a slightly firmer state of tune give it the kind of composure under hard cornering that not many others 150ccs provide. 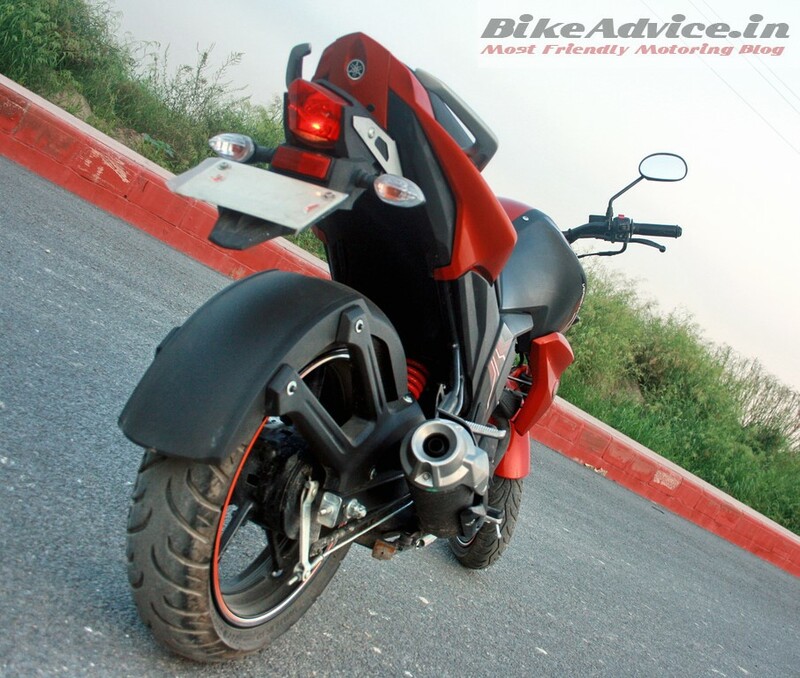 Of course, the suspension also takes its primary role seriously and minor riff-raff is dismissed with aplomb, but you would certainly need to slow down (or stand on the pegs) on the worst of roads – typical of a tightly sprung bike. Just to give you a perspective, it’s still better than the KTM Dukes’ while the handling is on a similar plane! 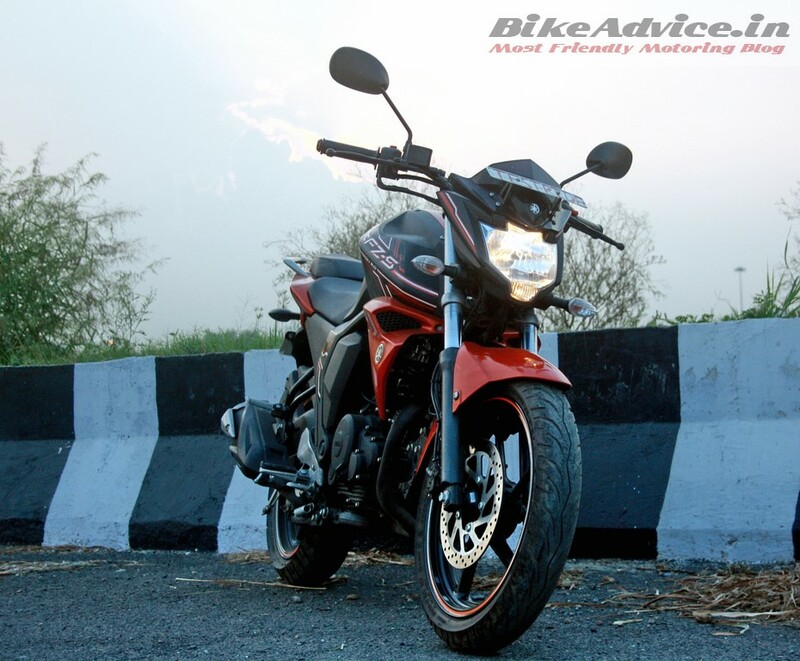 There is a marked sense of solidity that you feel while riding the FZ that is not dissimilar to the Dukes’. Also, the FZ is a light bike like the KTMs, but despite that, and similarly, it retains the perfect mix of rock-solid straight-line stability and nimble turn-in manners that have become even a shade better than earlier. And while we are talking about changes, new FZ v2 comes with new rubber for tyres and improved structure, which Yamaha claims is better in handling punctures as well. The amount of lean you could achieve on this bike would be determined by the size of your cojones and not by the grip of the tires’, which is phenomenal to say the least. Surprisingly, the traction on completely loose stuff is great too as enthusiastically told by Neelanjan (my teammate and co-tester) who had gotten lost on a rural road he took as a detour to avoid the jam on the Delhi-Jaipur highway. Braking is fantastic too with progressive feel and bite from the front disc getting enough support from the rear drum as and when needed. I almost forgot to tell you that both rider’s and pillion’s perches are very comfy as well. It was miserly of Yamaha to give us the test bike with only one litre of petrol in the fuel tank! I don’t know if they were hoping us to test only the bike’s fuel efficiency by circling around the dealership at 40 kmph in 5th gear and running it dry. Anyway, we tanked up and rode sedately at first but with the fuel level indicator not budging from the full mark despite an hour in the saddle, we started redlining it in every gear and that’s exactly how we rode for the next couple of days. Okay, now is the time for figures.. The new fuel-injected FZ will give you around 55 kmpl on highways and even more (58 kmpl seems possible) if you can keep that green ‘Eco’ light on the dash (above the high-beam indicator) glowing for as long as possible. For example, in fifth gear it would stay on until about 70 km/h (5,000 rpm) – exceed that speed and you are out of the economy zone. In city traffic, it ‘averaged’ around 46 km to a litre which means we are talking about a range of 48-50 kmpl and above if you can manage to ride it sanely ‘with’ the traffic. Expect proportionate reduction depending upon how harsh you get with the throttle or if your daily road conditions are still awaiting ache din! You just read that the new FZ v2 has turned into a fuel efficient machine and that too to some unprecedented levels (for a Yamaha). This was the only major area where it was lacking. Of course, this package can handle a lot more power but we know that it ain’t going to happen, but even right now, and at this price point specially, it has sufficient grunt to make short work of city travails. Plus, its sublime ride and handling balance, crisper throttle response, grippy tires and strong anchors have again taken it to the top of the heap.